Along with Kenwood and Icom, Yaesu makes up the big three of amateur radio equipment. There are other brands but none approach the market shares of these three companies. As far as being a source of communications gear for survivalists (and preppers too) Yaesu is number one. 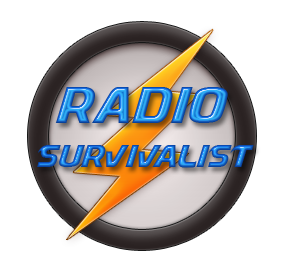 All of the radio manufacture mobile radios and of course hand-held radios (HT) which are valuable to survivalists and preppers alike. But Yaesu provides portable radios that are ideally suited for the low profile needs of a survivalist. Yes, Icom produced the IC-703 and similar radios but they are no longer in production. The three most popular Yaesu portable radios which survivalists and preppers will find attractive are listed below. SSB, voice transmissions of course. CW, Morse code, a great asset when conditions aren’t the greatest. AM, think CB receive as well as other benefits. FM, VHF/UHF of course but both 6 meter FM and 10 meter FM as well. The FT-817D also sports the 60 meter band. A self-contained (rechargeable) battery allows the FT-817 to operate completely portable operations out in the field. Some people will take issue with the fact that the FT-817 only runs 5 watts (which is known as a QRP rig). Yet they don’t realize the drain a 100 watt (or even a 50 watt) transmitter will have on battery consumption. As with any communications plan the antenna will either make or break the performance of a radio. Next in line is the FT-857D, a radio which Yaesu bills as the “world’s smallest HF/VHF/UHF mobile transceiver ” with the word “mobile” separating it from the FT-817 series.With dimensions of 6.1” x 2” x 9.2” one would assume Yaesu is correct about the FT-857D being the world’s smallest 100 watt transceiver. Being a mobile style radio allows the FT-857D the capability to run in several configurations. As a base station using a power supply, in a true mobile installation, or portable operation using an external battery. The display and large tuning knob are both attractive features when running out in the field. Frequency options are similar to the FT-817 listed above. Rounding out the selection of Yaesu radios for survivalist communications plans is the FT-897D. This radio is a sort of a combination between the FT-817D and the FT-857D. It can run completely portable using internal batteries at a lower RF output of 20 watts. Or it can be operated at 100 watts using any available 13.8 volt external power source. It too shares the bands and modes listed in the FT-817D paragraph above. As with the other big 3 the Yaesu line has many other mobile, base, and handheld radios but the emphasis on this post was to provide folks with equipment that will fit their communications plans. The most pressing issue of course is the size the the transceiver so that would rule out the base station sizes.